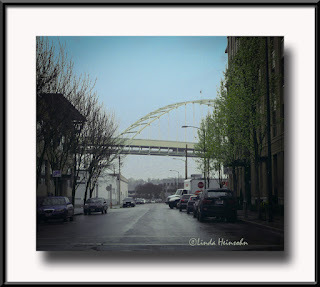 I love driving through Portland and catching glimpses of our many bridges through the city infrastructure. Saw this a week or so ago over in The Pearl. Fremont Bridge with it's big rainbow arch framed on one side by new spring green during a light rain. Marvelous!